As I have mentioned before, we prefer to stay with a vegetarian diet but on this road trip we have allowed ourselves to sample great regional foods. And when one finds oneself in New Orleans, the home for Gulf shrimp and oysters and Cajun foods, it would be foolish to not tuck on a bib and go for it. 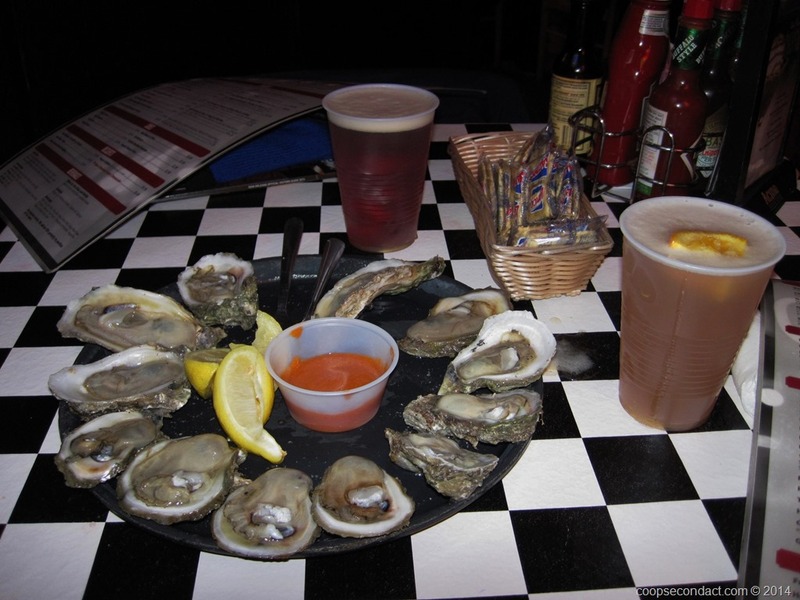 Our first stop was Acme Oyster House, a reliable French Quarter restaurant. There we started with a dozen fresh oysters followed by a sampler of jambalaya, gumbo, red beans and rice, smoked sausage, coleslaw and hush puppies. So good. The next day started with a stop at Café du Monde for beignets and café au lait. It’s simply a required stop. Another recommendation from my Uncle Jackie who lived in New Orleans for many years was Mother’s Restaurant. 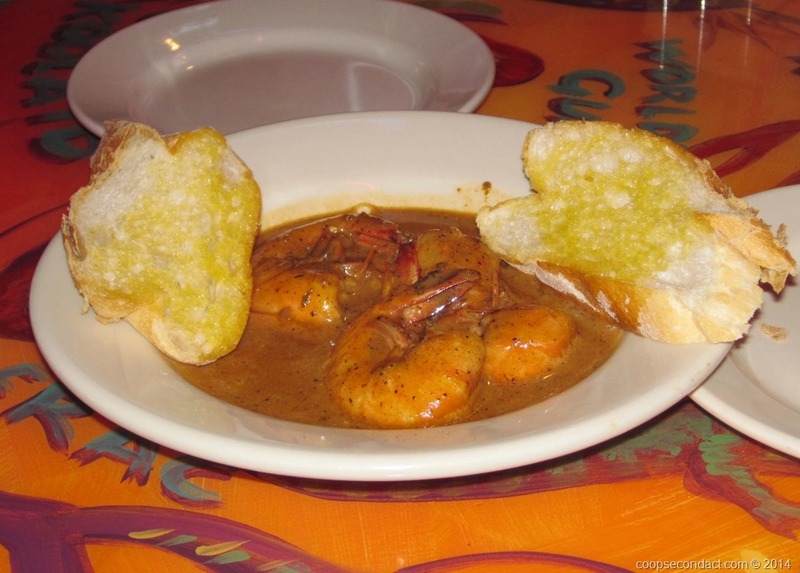 Here we had their shrimp creole and crawfish etouffee. Wow! And they serve a mean Bloody Mary. Last, but not least, we had dinner at Olde Nawlins Cookery, beginning with their Barbequed Shrimp followed by a Shrimp Po-Boy. The Barbequed Shrimp was especially delightful. The sauce was rich and full of flavor. Between meals we rode the trolley along Canal Street and out St. Charles Street to view some of the lovely homes in the garden district. We visited the New Orleans City Park which is really nice and includes the Museum of Art and an extensive sculpture garden. We drove the length of Magazine Street out to Audubon Park and Zoo. 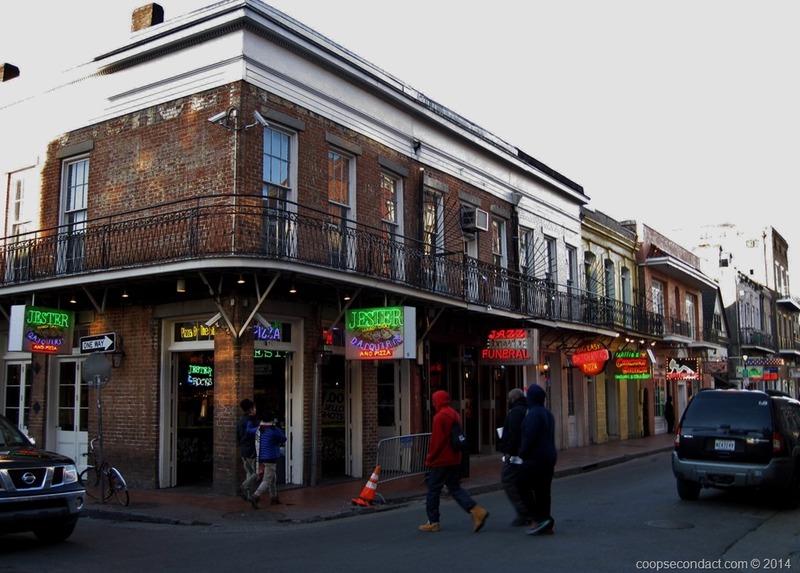 Naturally, we explored the French Quarter to see some of the historic homes, the French Market and Bourbon Street. We also took the Canal Street ferry to the West Bank of the Mississippi River which provides a nice view of downtown New Orleans from the River. And on our final night there was a short pre-Mardi Gras parade.